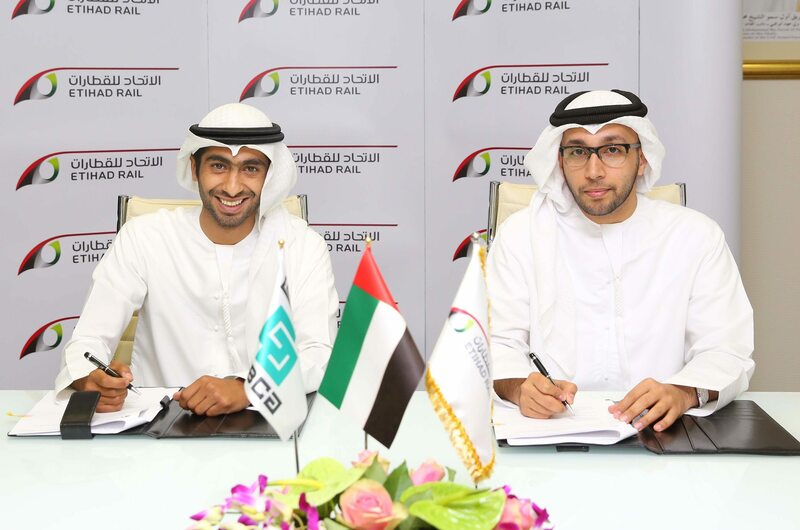 Etihad Rail has signed an MOU with a UAE quarry to provide for transportation of aggregates and raw materials through-out the country, once its rail service is operational. GIBCA Crushing and Quarry Operations Ltd (GIBCA Crusher), was established in 1976, and is a supplier of the aggregates that form a base supply for concrete and asphalt production. Under the scope of the MoU, Etihad Rail trains will transport aggregates for GIBCA Crusher from its quarry in Ras Al Khaimah to distribution terminals in Jebel Ali, ICAD Cities I and IV, Ruwais, Saqr Port, and Fujairah Port. The agreement will ensure the efficient delivery of raw materials to distribution and export terminals throughout the country, said Eng. Faris Saif Al Mazrouei, Acting CEO of Etihad Rail. “Agreements with aggregates producers such as GIBCA Crusher are essential for the evolution of the UAE’s rail transport infrastructure, as it will form a vital part of the construction industry’s supply chain. This will facilitate a more efficient delivery of aggregates from the Northern Emirates to construction markets not only within the UAE, but also within region and abroad. Sheikh Saqer Bin Khalid Al Qassimi, GIBCA group corporate development director, added that rail transport would enhance the quarry’s existing transport solutions. “GIBCA Crushers was established soon after the UAE’s formation. We are proud to say that the company has thrived in a competitive business environment where committed efforts are made to grow and diversify the UAE economy. The MoU with Etihad Rail will allow GIBCA Crushers to enhance our existing supply chain to meet evolving business needs, ultimately helping us to cater more efficiently to our key markets in the UAE and beyond.” Upon completion, the Etihad Rail network will span approximately 1,200 kilometres across the Emirates, and in addition to aggregates will be used to transport bulk and non-bulk materials.